DAVID LE/Staff photo. 3/13/15. 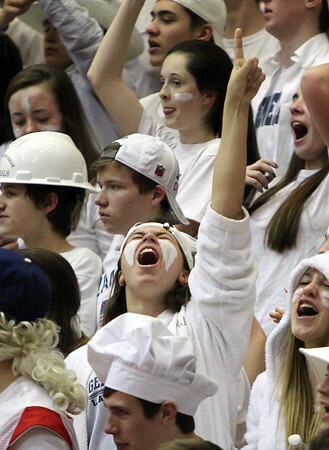 Hamilton-Wenham senior Grace Papp screams a points skyward while cheering on the Generals in the D4 State Championship at WPI in Worcester on Friday evening.